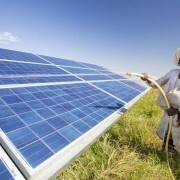 India and France have launched a programme with $1 trillion potential to help developing countries harness fully their solar resources for a clean energy future to meet the “biggest challenge humanity has ever faced”. Power minister Piyush Goyal and French environment minister Segolene Royal announced the solar finance programme that aims to lower the cost of finance and facilitate the flow of more than $1 trillion investment to members of the International Solar Alliance (ISA). Beyond providing clean energy and dealing with climate change, the harnessing of solar energy was also about energy security, Goyal said. “We will have to leverage our energies on (building solar) infrastructure,” she said. The ISA member nations can count on France and India to scale up the programmes for the “energy of the future”, she added. Explaining the benefits of solar-rich nations collaborating through the ISA, he said it would provide benefits of scale leading to reduction in prices; promotion of collaboration in research and development; and wider deployment of solar technologies. The ISA is about “all of us working toward a shared vision, a shared goal to take the solar initiative forward”, he said. The ISA, which was launched at the Paris Climate Change Summit last year by Prime Minister Narendra Modi and French President Francois Hollande, seeks to empower solar-rich countries located between the tropic of Cancer and the tropic of Capricorn, many of which have at least 300 days of sunshine, and share common challenges and opportunities. ADLER SOLAR IS one of the leading organizations engaged in system integration of comprehensive range of EPC, Solar Plants, Solar Hybrid Plants, Solar Lights,Solar Water Heaters, Solar Home Systems. The offered range of solar products are integrated by our efficient, authorized and reliable professionals of the market. Our experienced TEAM analyze the entire range in complete compliance with the industry laid standards. The offered products is widely used in the domestic and Corporate sectors. Our world-class facility enables us to trade and offer optimum quality solar products to our clients. Well equipped with the latest machines and tools, our infrastructure helps us in ensuring the optimum smooth work flow. Further, to operate all the business operations swiftly, we have hired a team of expert professionals. Our team of professionals enables us to meet the expectations of the honorable patrons. We have been successful in garnering a huge clientele all across the India. Draw power from sun for a sustainable future. By 2005, the negative impact of fossil fuel-based energy was crystal clear. Dark, ominous clouds hung over the world’s great metros, collecting the pollution from cars, buses, and motorcycles. Each year, fossil fuels produce 21.3 billion tons of carbon dioxide. Enough that the consistently declining proportions of greenery could not hope to absorb more than half, leaving a net increase of 10.65 billion tons of atmospheric carbon dioxide per year. Experts were fast proving the link between carbon dioxide and global warming. To further drive the green movement, instability in oil-producing regions had long been a grave cause for concern among major energy-consuming economies like the US, as well as the emerging markets of India and China. But most importantly, the narrowing cost differential between photovoltaic electricity and grid electricity was finally making solar energy a viable alternative. 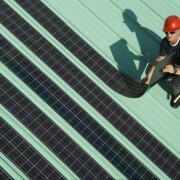 In the United States, there had been some 46 solar cell IPOs between 1995 and 2007, with 35 of these concentrated between 2005 and 2007. Total solar cell IPO capital raised since 1995 was $7.33 billion, with over 75% of that total raised between 2005 and 2007. The entire solar industry raised $5.8 billion in public capital in 2007, up from $2.2 billion in 2006, and $1.5 billion in 2005. There was little doubt: the solar sector was heating up. India, with approximately 200 clear, sunny days a year and the potential to produce 5,000 trillion kilowatt hours of power per year, was a prime candidate to join this movement. But India’s sun resource was grossly underutilized, due both to limitations in energy storage technologies and, more importantly, a total lack of policy initiatives. Germany and Spain had brought about incredible adoption rates of solar energy through feed-in tariffs (FITs). But for all of India’s advances, the majority of its villages remained in a darkness unanswered by its urban governors, with the immense potential of solar energy un-leveraged. Meanwhile, on the production side, the photovoltaic cell industry was full of relatively mature technological solutions, though not the cheapest, most scalable long- term solutions. Much of the entrepreneurship was therefore directed towards research and development of new thin-film photovoltaic cells using materials such as CIGS and organic films on different substrates, as opposed to silicon-based solutions. . While Germany, because of its expensive labor force, could not achieve grid parity until 2018, India could do so momentarily. India had missed the entire semiconductor manufacturing opportunity, an industry that went largely to Taiwan, and then to China. We were determined not to miss the next big manufacturing sector opportunity. To build the plants was a herculean task in itself. Equipment manufacturers like Applied Materials were a big help, as were consultants with deep expertise in setting up semiconductor fabs in Taiwan and solar plants in Germany. The first plant, in Rajasthan, took almost a year longer than we estimated, but the team got thorough training on that project. Thereafter, the remaining plants were much more tightly managed and stayed within the budgeted time window. Our main marketing channel in the urban geographies was construction companies and real estate developers who were riding the “green building” phenomenon. Living and working in “green buildings” had become fashionable among Indian consumers. It reminded of the time in California when the hybrid Toyota Prius had become a status symbol. Now Indians were showing off their solar water heaters and boasting of their efforts towards zero-energy homes at dinner parties. And both residential and commercial developers were aligning themselves with this demand, retrofitting existing buildings and, of course, equipping new buildings with solar power. To do better. 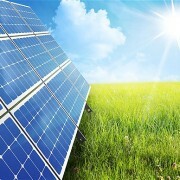 We consider it our responsibility to convert India to a 100% solar-powered economy by 2050, in the process creating enormous wealth throughout the solar ecosystem – from rural utilities to green urban builders – as entrepreneurs and government officials, each in their own capacity, advance technology and policy towards a brighter day. The Union government has ambitious renewable energy targets of 100 gigawatts (GW) of solar power and 60GW of wind power by 2022. However, the government is also facing large deficits and competing budget priorities, and will need cost-effective ways to achieve these targets. There are three zero-cost solutions for the government, or ways to increase deployment of renewable energy which will not require subsidies for generation. These zero-cost solutions, when accompanied by support policies that would remove non-cost-related barriers, could lower the overall cost of meeting renewable energy targets and hasten their deployment. In all three solutions, the cost of renewable energy can be compared to a baseline of the fossil fuel energy that additional renewable energy will likely replace. The government needs to subsidize additional renewable energy only if it is more expensive than the baseline. First, for utility scale renewable energy, the government needs to focus on rapid deployment of onshore wind power. The cost of wind power, at Rs.5.87/kilowatt-hour (kWh), is already cheaper than the unsubsidized cost of imported coal at Rs.6.81/kWh, which is the fuel it is most likely to replace. Thus, wind power does not require government subsidies. The technical potential of wind power is estimated to be at least 100GW. Thus, 100GW of wind power, which is higher than the 2022 target of 60GW, is a zero-cost solution for the government. To ensure that India reaches 100GW, the government could encourage rapid deployment through policies which address non-cost-related barriers for project developers, such as land acquisition, resource assessment, transmission interconnection and guaranteed offtake. Second, for distributed renewable energy, the focus should be on rapid deployment of rooftop solar power. The unsubsidized levelized cost of energy from rooftop solar power, at less than Rs.7-8/kWh, is already lower than the retail rate of electricity for many industrial, commercial, and residential consumers, at up to Rs.10/kWh (or higher). The realizable potential of rooftop solar photovoltaic (PV) system is at least 57GW by 2024. Though what is needed to realize the full zero-cost potential requires further investigation, approximately 15GW of rooftop solar PV is likely to be another zero-cost solution for the government. To ensure that India reaches 15GW, the government could encourage deployment through supporting policies such as net metering. In addition, innovative business models will enable financing of the initial costs of solar panels. The government could help create the market by facilitating these models, and also by establishing reasonable technology performance standards and informational platforms to ensure product and business quality. 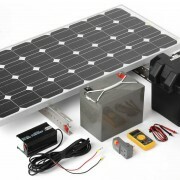 The third area of focus can be on rapid deployment of off-grid solar power. Distributed solar PV power is cheaper than diesel generation in most cases, which is the fuel it would likely replace. The realizable potential of distributed off-grid solar PV is estimated to be 15GW by 2022. While additional research is still needed, a significant fraction of this is likely to be another zero-cost solution for the government. Similar to rooftop solar PV, business innovation to finance upfront costs, along with a supportive policy environment, can encourage the deployment of off-grid solar PV power. In addition to these three zero-cost solutions, there are other ways to significantly reduce the cost of government support for renewable energy. One way is to shift policies to reduced cost, extended tenor, debt. For example, for utility scale solar power, this could reduce the cost of government support by up to 96%. India aims to develop distributed or rooftop solar capacity of 40 gigawatts by 2022. It is part of the 100-gigawatt target the government has set. However, the country is still a long way from achieving that target despite abundance of solar irradiation at 5.1 kilowatt hour per square meter and more than 300 sunny days on average in a year. The ministry of new and renewable energy (MNRE) has stated in a report that India has the potential to develop 25 gigawatts of rooftop solar systems. And a rooftop solar power system on average generates 1-3 kilowatt hour of energy. According to a report by the credit rating agency CARE Ratings, the inclusion of commercial buildings, shopping complexes and offices can further expand potential of rooftop solar power generation in India. At present, India has installed capacity of only 300 megawatts of rooftop solar power systems. So, what is the country doing to capitalize on its rooftop solar potential? Globally, though, rooftop solar makes up significant share of solar energy capacity of nations. According to data published by The Energy and Resources Institute (TERI), the six top nations in rooftop solar installations have derived roughly 56 percent of their total installed capacity through rooftop solar installations. Government of India is also waking up to the potential of rooftop projects, which is evidenced by the projects taken up under Phase II of JNNSM as well as policies announced by states. The efforts notwithstanding, India needs to do much to build a robust system that supports rooftop power generation. CARE has listed high upfront costs of solar installations among hurdles to rooftop solar power generation. This is despite reduction of panel costs by about 50 percent globally since 2011. Installations without integrated storage require Rs1 lakh (about $1,500) per kilowatt without subsidy. Batteries, inverters and other storage paraphernalia add to the costs. And financing options are limited in the absence of precedents. Even if challenges on the installation side are successfully met, there are more that remain in the grid itself. The grid is still not equipped to handle small scale power generation and there are fears of stability issues. And utilities are ill-equipped to monitor and verify power generation under the FiT approach. The absence of specifications for output from solar rooftop installations such as voltage, flicker, and synchronization for net-metering system poses issues in smooth integration with the grid. The likelihood of reverse power flow and inefficient low voltage systems are still real problems with rooftop solar projects, CARE reports. Above all, rooftop solar projects are yet to expand significantly due to the lack of awareness among consumers. Solar power has achieved grid parity with commercial tariffs in many states. But rooftop installations are at very nascent stage in India. Capital subsidy alone may not be the solution to achieve targeted installations. 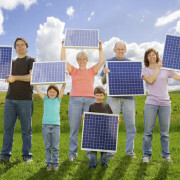 Comprehensive solar solutions are the need of the hour, CARE notes. Indian Prime Minister Narendra Modi gave the nod to increasing the country’s solar capacity five-fold, to a goal of 100 gigawatts by 2022. Currently, the country’s 4.5 GW is no small feat, considering only six nations as of late 2014 surpassed the 5 GW mark, with the U.K. the last country to do so. India, which is the second largest country in the world with 1.25 billion people, is in good hands with environmental development. Modi, who was elected into office a little more than a year ago, has championed the value of resources and is a proven leader on tackling pressing challenges. He ran for election of the most powerful seat in India on the foundation that he would develop the country by providing solar energy to hundreds of millions of Indians who otherwise would go without electricity. Bridge to India, a company specializing in the country’s solar market, projects that India will install around 2.7 GW this year, more than solar-driven Germany. After India produces that solar total within the next two quarters, it will firmly place the country in the top five of solar markets globally, joining China, Japan, the U.S. and the U.K. The environmental progress doesn’t come without a pinch in the pursestrings: The 100 GW target is expected to cost around 600,000 crore, an equivalence of a whopping US$100 billion. The cost factors in the expected $4 billion it will take U.S.-based SunEdison to build a solar equipment factory that will contribute 10 GW of solar energy to India over the next seven years. With such heavy spending, the country faces threatening challenges of debt to complete the anticipated production of 80 GW by 2022. Bridge to India found that it would take nearly $40 billion worth of debt to complete the initiative. While the majority of project funding is planned to come from international lenders like the World Bank, it still raises questions about the project’s legitimacy considering the extreme cost. However, solar energy is the energy of the future and provides countries with a safe and reusable source of electricity. India, with an alarmingly dense population, struggles to distribute its power equally, especially because of the rising costs of fossil fuel-generated power. This makes solar energy an intriguing option, especially for a country that’s constantly kissed by the sun, like India. Previously, India had only planned to install 20 GW worth of solar energy by the same target year of 2022. Bridge to India previously estimated that India would reach 31 GW by 2019, but that would only be a fraction of the proposed 100 GW set to be installed just three years later. The United States just eclipsed 20 GW at the end of last year. The growth of solar in the country has been somewhat exponential — increasing from 1.2 GW in 2008, former President George W. Bush’s last year in office, to an incredible 21.3 GW today. The increase has been a direct reflection of interest from other countries as well, as China, Germany and now India have all seen enormous spikes of intended solar production within the next few years. To exemplify just how much 1 GW of solar energy can contribute, the largest coal power plant in the U.S., Plant Bowen in Georgia, is 3.5 GW and has the capability of providing energy to 1.9 million homes in the country. The Nevada landmark Hoover Dam is a 2 GW facility and provides electricity for 350,000 homes. 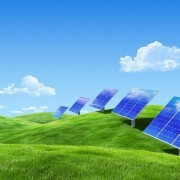 Global solar installations to are expected to reach 57.4 GW this year, with India paving the way. While India’s progression is certainly an accomplishment to recognize, it may not remain on top of the solar news for long. China set its own target of 100 GW of solar power, but two years earlier than India. Only six countries have surpassed the 5 GW mark, but it’s unlikely to remain that way for long as solar power is the newest attractive alternative to fossil fuel-generated power.